Mr. Piercy is an official Rossi Clarinet, Forestone Reeds and Silverstein Ligature artist. A frequent performer of new music, Mr. Piercy has premiered numerous compositions, including over 50 new pieces in the last three years. Ned Rorem, a Pulitzer Prize winner and Grammy Award-winning composer, wrote his only clarinet and piano piece, "Four Colors," for Mr. Piercy. The work had its premier at an 80th birthday concert celebration for Mr. Rorem at Carnegie Hall in the fall of 2003. Piercy's discography includes "Gotham Ensemble Plays Ned Rorem", a CD of chamber music featuring the clarinet (Albany Records), "CAFE", a CD of music for clarinet and guitar (Tonada Records), the world-premier recording of Sir Richard Rodney Bennett's "Ballad in Memory of Shirley Horn" (Tonada Records), and the Emmy Award-winning CDs and DVDs "Juno Baby." Born in Kamakura, Japan, Aki Takahashi began studying piano at the age of five with her mother, then with Yutaka Ito, (Miss) Ray Lev, and George Vásárhelyi at the Tokyo University of Fine Arts and Music where she received M.A. degree. She made her debut performing the music of Toru Takemitsu while still a graduate student. Takahashi held her first public solo recital in 1970 in Tokyo and showed her enthusiasm and critical acclaim as an interpreter of new music by such composers as Messiaen, Boulez, Xenakis, Takemitsu, and others. Since her debut, she has been very active in performing new music and has regularly worked world-wide since her recitals in 1972 at the Berlin Festival Week and Paris Autumn Festival. Other venues she performed in include the Holland Festival, New Music America, the Berlin Metamusik, the Lincoln Center Festival, ULTIMA Oslo Contemporary Music Festival、musicadhoy in Madrid and BBC Proms in London. While acknowledged for her classical musicianship, Takahashi is particularly lauded for her imaginative interpretation of contemporary works. John Cage, Morton Feldman, Isang Yun, Peter Garland, Somei Satoh and her brother, Yuji Takahashi, to name a few, have all created works for her. Her recording career is also distinguished. Her landmark recording, Aki Takahashi Piano Space, with 20 contemporary piano works including those by Berio, Boulez, Cage, Xenakis, Stockhausen, et al. received her the Merit Prize at the Japan Art Festival in 1973. Her series of Erik Satie concerts (1975-77, Tokyo), conceived and produced by Kuniharu Akiyama, music critic and her husband, triggered a Satie boom throughout Japan, as a significant consequence. Takahashi was given a privilege to issue a complete collection of the composer’s piano works by her own editing and recording.. In 1980, She was invited by Morton Feldman to become a Creative Associate of “The Center of the Creative and Performing Arts” at the State University of New York at Buffalo. Her collaboration with Feldman to his death in 1987 has resulted not only in performing his music around the world but also in recordings, such as Triadic Memories, For John Cage, Piano and String Quartet (with Kronos Quartet), TRIO (with Rohan de Saram & Marc Sabat) and Feldman Piano Works. She received the 1st Kenzo Nakajima prize (1983) and the 1st Kyoto Music Award (1986). She was the director of the "New Ears" concert series in Yokohama. City (1983-97), a brand new showcase for new music including commissioned works with new technologies. Other noteworthy recordings include two CDs of Xenakis works, Takemitsu Piano Works, Four Walls (Cage), Avatara (Akira Nishimura), Giacinto Scelsi Piano Works and Hesitation-Tango(Tango Collection 1890-2005). In a project conceived, carried out, and performed by Aki Takahashi, a number of composers were commissioned to create works inspired by various Beatles tunes. Among the composers were Cage, Takemitsu, Terry Riley, Per Norgaard, Frederic Rzewski, Alvin Curran, Alvin Lucier, Kaija Saariaho, Pauline Oliveros, Zygmunt Krauze, Tan Dun, Christian Wolff and Ryuichi Sakamoto. Of the resulting 4-CDs entitled “The Hyper Beatles” (Toshiba EMI), the first album was hailed by the New York Times as the “Best CD of 1990”. In Spring 2006, she was invited to Maerz Musik Festival in Berlin as a “Pianist in Residence” for performing 5 concerts in the festival. In the Fall, her recital in New York playing Morton Feldman's pieces was noted as the Best Concert of the Year by the New York Times. In 2007, she was awarded 58th ”Art Encouragement Prize” by the Minister of Education, Culture & Science for her CD “Schubert Piano Sonatas” (Camerata Tokyo) and her concert “Morton Feldman TRIO”. In 2008, she won Merit Prize at the Japan Art Festival for her CD “The Perilous Night -Aki Takahashi Plays John Cage” (Camerata Tokyo). Takahashi has continued the Schubert recordings and the fourth CD will be released in 2013. 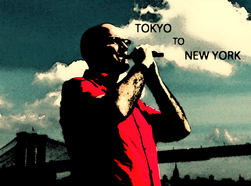 "Tokyo to New York" - a series of concerts in Tokyo and New York City to celebrate, honor and recognize the connections between Tokyo and New York City. Since 2012, "Tokyo to New York" Concerts has presented over 50 World Premiers. "Piercy’s Richly Diverse Program of Japanese and American Music"
"…a fascinatingly eclectic, virtuosic program of new chamber works which contrast Japanese composers’ views of New York with their New York counterparts’ views of Japan. Although most of the works are relatively short,...the ensemble tackled the music’s wide range of demands with verve, insight and sensitivity." 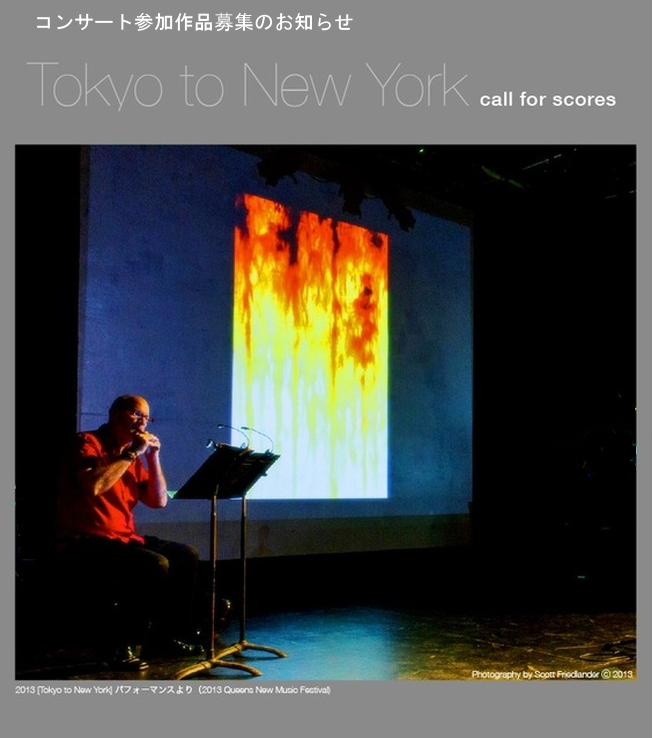 The “Tokyo to New York - 東京 と ニューヨーク “ 2015 Call for Scores welcomes submissions of new works composed for clarinet and piano OR hichiriki and piano to be premiered in concert, January 12, 2015, at Tokyo's スペース Do (SpaceDO), and performed again in NYC during 2015. The January 12, 2015 "Tokyo to New York" concert will include compositions by Tokyo-based and NYC-based composers. Jun Nagao 長生 淳, Senri Oe 大江 千里, Fernando Otero, and Ned Rorem. Clarinetist and hichiriki player Thomas Piercy will be joined in the Tokyo concerts by pianists Aki Takahashi and Yusuke Satoh. - Open to all composers living or working in the Tokyo metropolitan area. - Works written for Bb clarinet and piano OR hichiriki and piano. - Works should be between 1 minute and 5 minutes in length. - All styles of composition accepted (example: contemporary classical, abstract, minimalist, pop/jazz influenced, tango nuevo, etc.). - Score (with transposed Bb clarinet line) and separate clarinet or hichiriki part attached as pdf files. - Program note (maximum 100 words). - Composer biography/profile (maximum 100 words). - Composer's photograph attached as a jpg file. - Website address of composer (if available). - Submission of sound files with the pdf are allowed and encouraged (mp3, midi from Finale or Sibelius). - Include the following dedication on the score: “Composed for Thomas Piercy and Tokyo to New York Concerts"
Winners will be announced November 1, 2014.